Your dog needs a variety of nutrients to maintain life, encourage growth and allow proper function of his or her organs and immune system. There is no ideal combination of protein, carbohydrates, fats, minerals and vitamin. 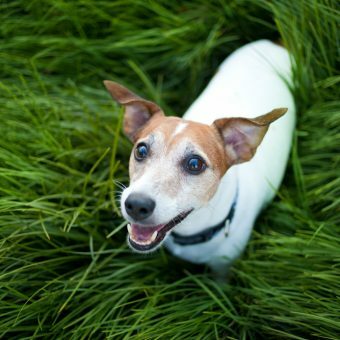 Ultimately, it will be up to your dog to determine which ratio works best. Along with proteins and fats, carbohydrates are one of the three major nutrients in food. Carbohydrate requirements of dogs is much debated. No minimal requirement of carbohydrates has been set by neither AAFCO nor NRC. The most important function of carbohydrates is to provide adequate energy. Your dog can convert some protein’s amino acids into glucose (energy) and therefore does not have a specific requirement for carbohydrates. However, your dog’s body functions much better when some amounts of carbohydrates are fed. Just as the dog eats to meet his energy needs, the body satisfies its energy requirement before using energy-containing nutrients in the diet for other purposes. If adequate carbohydrates are supplied in the diet, protein will be spared from being used for energy and can then be used for tissue repair and growth. Based on the molecular structure, carbohydrates either serve as an energy source (sugar and starches), or as a source of dietary fibre. Once digested, one of three things can happen to sugar and starches: They are immediately used for energy, they are stored as glycogen in the liver (to be used at a future time for energy) or they are stored as fat. Only a limited amount of carbohydrates can be stored in the body as glycogen so when carbohydrates are consumed in excess of the body’s energy needs, most are metabolized to body fat for energy storage. Thus, consumption of dietary carbohydrates in excess of energy needs can lead to increased body fat and obesity. 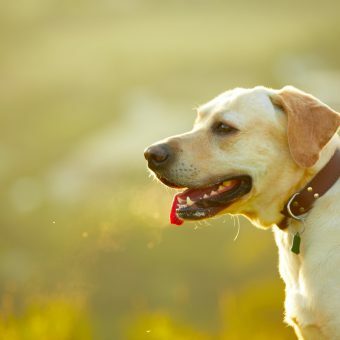 Dietary fibre does not contribute noticeably to energy balance in dogs but a moderate level in the diet is important for normal function and health of the gastrointestinal tract (GI). Excess fibre is often used in diets for overweight dogs as it helps them feel full, dogs with certain intestinal problems and in diets for dogs with diabetes to help them control their absorption of sugar and starches from the diet. Fibre is also sometimes added to diet to prevent both diarrhoea and constipation. However, if a food contains too much fibre, the dog can become full before consuming the necessary nutrition and can show nutritional deficiencies. This can be especially damaging for working dogs that cannot maintain normal body weight. In most healthy adult dogs, provided sufficient protein and fats are included in the diet, the dog is capable of meeting its metabolic requirement for glucose. However, the need for carbohydrates during gestation and lactation has been greatly debated. 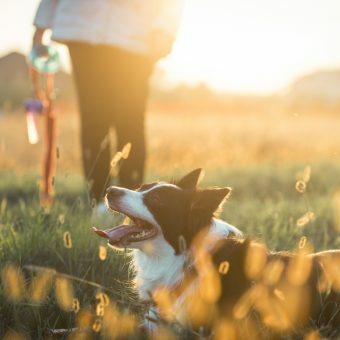 Studies show that although glucose is a metabolically essential nutrient for the dog, carbohydrates are not an absolutely necessary part of the diet, even during the metabolically demanding stages of gestation and lactation.